Gangs Flourish Where Dreams are Denied! 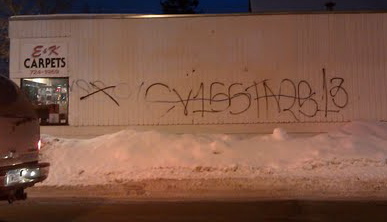 Driving across south Minneapolis I’ve noticed new graffiti representing various Latino gangs. Most of it has gone up in the last month. Consider this in light of the fact that just over a month ago senators of a particular party who brandish the mottos of “smaller-government” and “spending cuts” blocked the DREAM ACT from becoming law. These senators could have opened up opportunity for tens of thousands of immigrant youth, instead they opened up a wave of despair and frustration. Sure, I do not have solid proof that the people who are scrawling gang graffiti went out and joined the gang after the Dream Act was defeated. However, I do know that every teacher, pastor and youth worker I know who walks alongside the youth and families the Dream Act would have benefited are saying the same thing. Gangs, like bacteria, do not flourish in all environments. Gangs become most attractive to individuals when they are part of a segment of society which is being marginalized and stripped of resources. Then without positive social support, nor basic resources needed to survive, the community creates alternative social recognition and economies to create their own social system to gain identity and power. Smaller government? Spending Cuts? Blocking the Dream Act will only bring the opposite. Denying people a place in a society that has been their only home will only create more criminals and demand more government intervention in the lives of law abiding persons. You want to fight gangs? Your analysis is very insightful. I received my undergraduate degree in Criminology and juvenile criminology was especially distressing because of the environment the youth come from and go back to. They are hopeless to make the changes on their own and the adults, police, politicians and system responsible falls short as well.